This recipe for grape molasses cookies, or Moustokouloura, is made with petimezi, a sweetener that dates back to the Bronze Age. 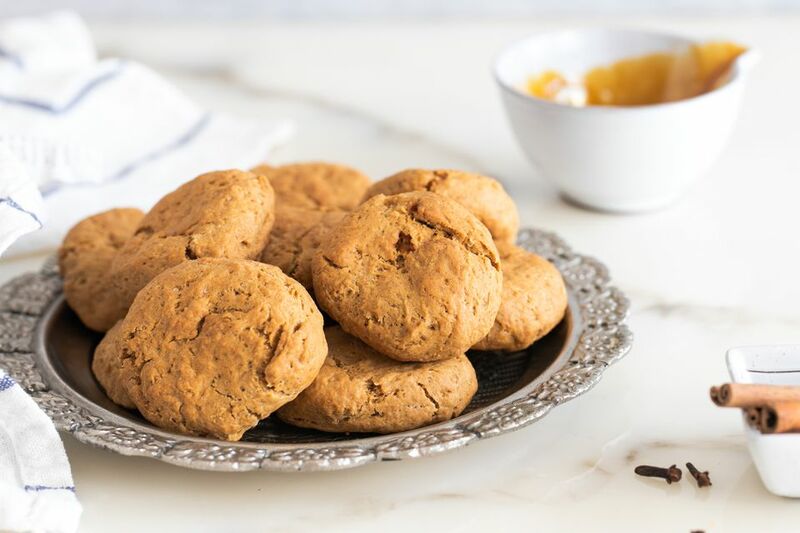 Buy it or make it at home to create these delicious cookies that are made with olive oil and no butter, eggs, or milk. Dissolve baking soda in the brandy. Combine the oil, grape molasses, and sugar in a saucepan. Stir well and boil for several minutes until completely blended. Transfer to a mixing bowl, and stir in brandy mixture, orange juice, cinnamon and cloves. Add the flour mixture slowly, mixing to create the cookie dough. Preheat oven to 350 F/175C. Using pieces of dough, pat into thick cookies, about 1/2-inch high, into round or oval shapes. Place on cookie sheets and bake for about 20 minutes. Cooking time will vary slightly depending on the size of the cookies.